Pluto Rocks!! The Classic Rock Connection – from the Moody Blues to Queen! If you can’t get the Moody Blues, Queen will do! In Mid-July the New Horizons space probe sent back spectacular photos of our solar system’s most mysterious planet (yes, I said planet, dammit!) Pluto. I blog about my initial reactions here. The biggest reaction I got from my blog was from Moody Blues fans. Like hundreds (perhaps thousands or more) fans I trolled the interweb looking for any connection between the space probe and the Moody’s song from their 1972 album Seventh Sojourn (“New Horizons” was the second song on the Side A). Nothing on a NASA-related site or a Moody Blues-related site showed any connection, other than fans like me wondering why not. Too bad, it was a missed opportunity for both. It would not have been the first time the Moody Blues were associated with space travel – it was a major theme in their 1969 album To Our Children’s Children’s Children. I am a huge Moody Blues fan – ever since I started listening seriously to music as a child I loved hearing their songs on the radio. This was about the time “Nights in White Satin” hit the charts (around 1972) and was played frequently. Their greatest hits package This is… was an early purchase. 2015 is a great year for Moodies fans. March marked the 50th anniversary of their first hit “Go Now”, John Lodge released a solo album and Justin Hayward is doing a solo tour of the US (his St. Louis show on September 11th is sold out and I am begging on my knees-on-my-knees-Jacob-Marley for tickets). 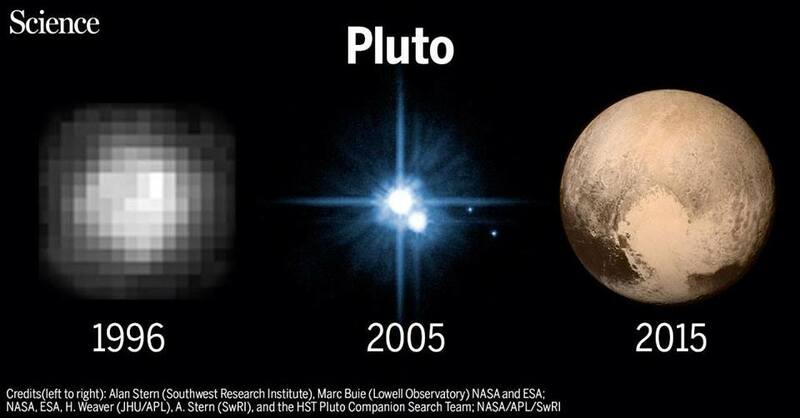 Because of the Pluto probe, it should have also been a big year for the song “New Horizons”. But not one documentary or special I have seen – not one – feature the song. Too bad, it would have been a perfect fit. It could have been the beginning of a wonderful two years for the band. Their publicity people could keep up the momentum until 2017 – which will be the 50th anniversary of the release of their iconic Days of Future Passed album. Rumors are already abound on the anniversary event. A one-time concert event with the “original” members is the most prominent – and the most likely. Note that by “original” members I mean the iconic and most successful line-up. The 1965 Moodies who released “Go Now” fifty years ago had only three members go on to the more successful so-called prog-rock version of the group that is still around today. In fact, only one member – Graeme Edge – has stayed with the group all this time. 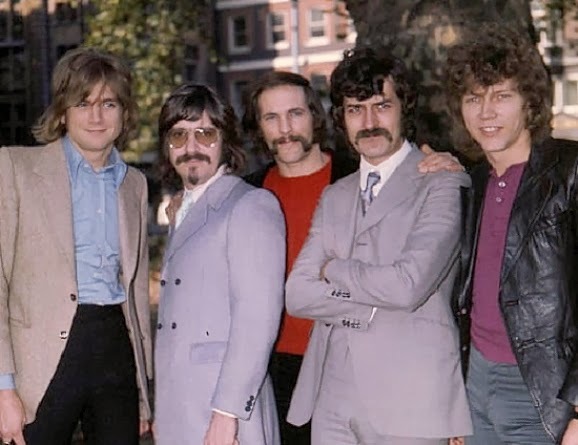 The real original line-up was Graeme, Ray Thomas, Michael Pinder, Clint Warwick and Denny Laine (who was later the only lasting non-McCartney member of Wings). That group broke up but shortly reformed under the same name without Warwick or Laine. Their replacements were John Lodge (who played with Thomas and Pinder in prior combos) and Justin Hayward. This was the group that released Nights … In Search of the Lost Chord, Long Distance Voyager, The Other Side of Life, and more – totaling fifteen. Pinder left the group in 1978, Thomas retired and has since had a cancer scare (now in remission). Their last album was December, a Christmas collection – featuring only the remaining three. Their website spotlights only Haywood, Lodge and Edge. All the members – current and former – have their own websites. Mike Pinder is still releasing albums! Most excellent! The people at NASA and the Moody’s camp certainly missed a great opportunity here. Surely someone somewhere would have made the connection! But those looking for a classic rock connection to the mission to Pluto need look no further than Queen! Queen’s guitarist Brian May was in graduate school when the band took off. After the death of Freddie Mercury, the group disbanded and May finished his doctorate in astrophysics. During New Horizon’s flyby of Pluto, he was recognized by NASA as a science collaborator for the mission. He used the images sent back to earth to create the first stereoscopic image of Pluto. You can read all about it on his web-page. When I first head about Brian May’s association with New Horizon, I was not surprised. 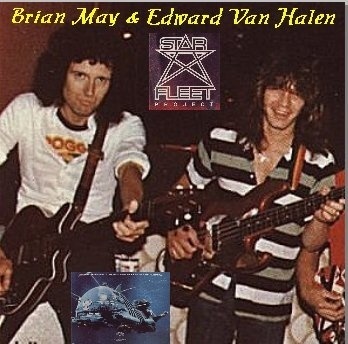 One of his first solo efforts was Star Fleet, which featured Eddie Van Halen and members of REO Speedwagon and background vocals by Roger Taylor, Queen’s drummer. I loved the video when it first came out on MTV (note to the kiddies: this was way back when MTV played music). You can see it here. Pluto’s New Horizons’ Unexpected Result …. Like most nerdy types I have been glued to the internet looking at all the wonderful images of Pluto from New Horizon’s fly-by. As with the Mars probes and other past astronomical news, this makes for a time when everyone seems interested in science and astronomy again and the networks are filled with news and programs about it. 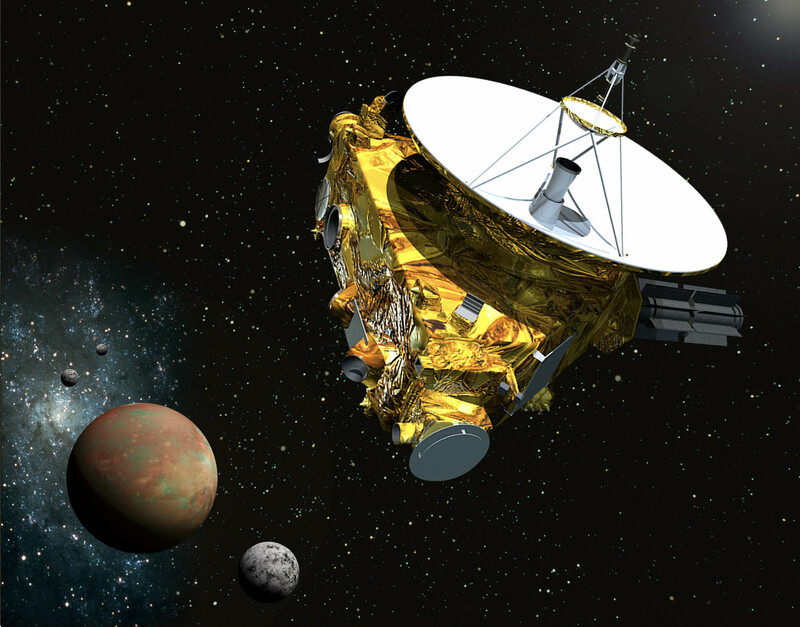 Factoid: New Horizons was the fastest thing ever launched from earth – 36,000 miles per hour. It could go from LA to New York in five minutes. It was past the moon’s orbit in nine hours. After gaining speed by skirting Jupiter’s gravity it is now going approximately 50,000 miles per hour. The images and data will help us find out more about the origins of our solar system and the layout of the outer and unknown part of our cosmic neighborhood. Factoid: Pluto has four more moons! 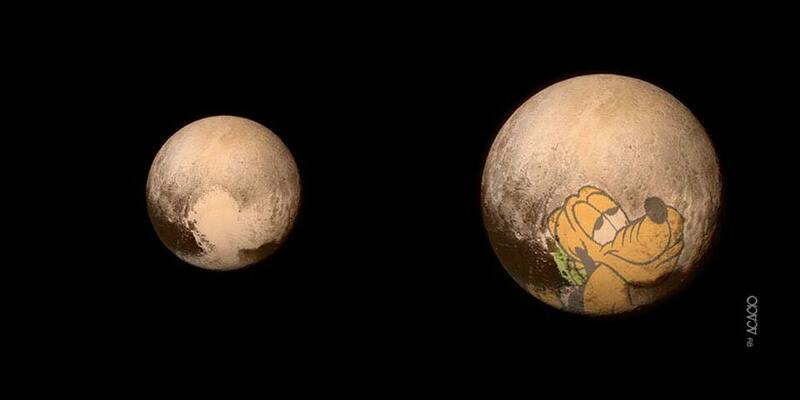 Of course as an HP Lovecraft fan I have another obvious reason for loving Pluto! In his story “The Whisperer in Darkness” we learn of the planet Yuggoth (“… a strange dark orb at the very rim of our solar system …”). As he wrote the story, but before it was published, Pluto was discovered in 1930. 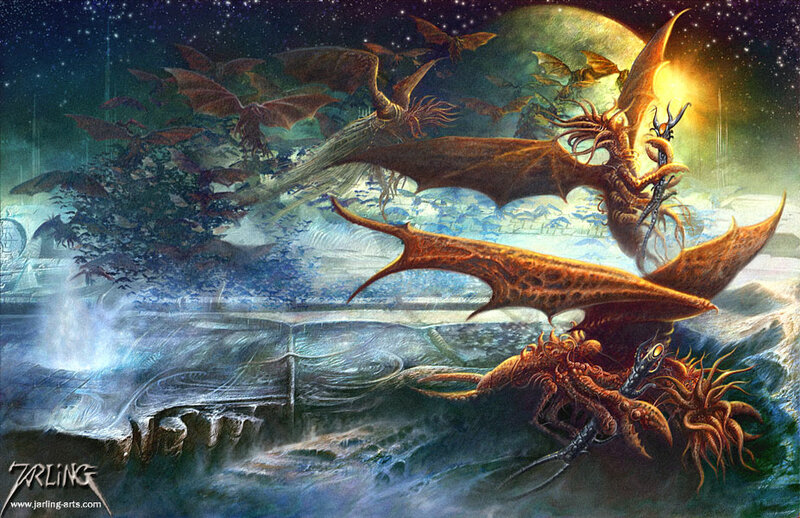 He hinted that may have been the Yuggoth he was writing about. Was he, in fact, writing or channeling the thoughts of the alien mi-go? Factoid: He was writing of course, don’t be silly. But it is fun to imagine, isn’t it? One benefit from all this was unexpected: better television. Not good television, but certainly better. The so-called science channels are filled with semi-documentaries and news reports of New Horizons’ mission. I have been Tivoing and watching as many of them as I can! The trouble is, over the past decade or so, most channels purporting to be scientific or educational has wallowed in infotainment and scripted narcissism just like their other commercial brethren. I don’t know if TV producers are capable of making GOOD documentary programs anymore. A good example is a program about New Horizons and Pluto I saw on the Science Channel (it used to be called Discovery Science) called “Direct from Pluto: the First Encounter”. Throughout the show it had a reporter at mission central interviewing scientists and anyone who wanted to be on camera as if he was in the locker room after the Super Bowl (which I believe is some sort of sports event). Add the unnecessary theatricality and it almost turned this show into a spoof. The graphic of New Horizon approaching Pluto was accompanied by a dramatic soundtrack, as if it were the opening scene from the first Lord of the Rings movie. We’re excited enough, we don’t need goading. Cosmos had music, true – award-winning music by Vangelis. I used to play the soundtrack in my radio days when I hosted “A New Age” on a local NPR station. And that music affected us emotionally as well. But with a difference – the music accompanied us, it didn’t lead us. It reflected the beauty and majesty of the visuals and the spoken word. There was no need to generate drama and tension. We’ll watch the show, don’t worry about it. 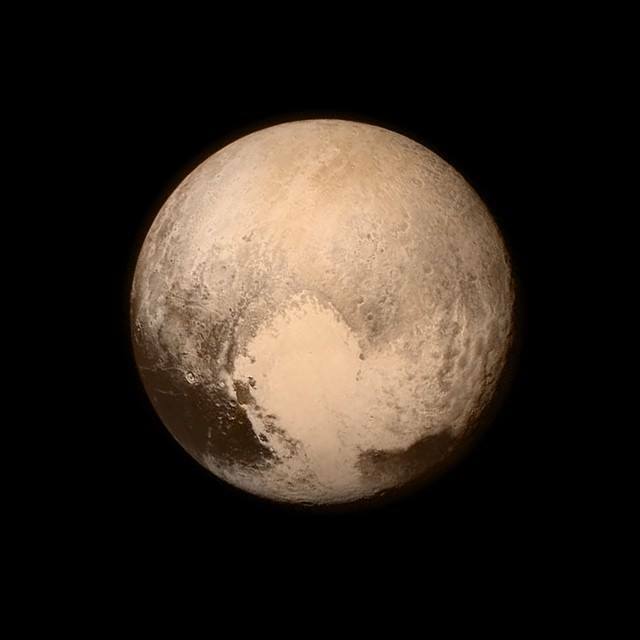 I want to know about New Horizon’s mission; I want to know about Pluto. But I don’t want it in nibbly sound bites. I don’t want to read your cute quip (always said with a smirk) on the bull’s-eye page of Entertainment Weekly. Treat us like adults; we’ll start acting like adults. And they wonder why people are leaving cable in droves, including me. I’m seriously looking at online streaming networks such as Curiosity Stream. Anyone have it? Is it any good? It is run by the former owner of the Discovery Channel, from which belched “Direct from Pluto: the First Encounter”. I hope the word “former” is significant. One thing that has NOT resulted from all this is the resurgence in interest of the beautiful Moody Blues song “New Horizons”. But … baby steps … television first, eh?